SPDY (pronounced "SPeeDY") is a new networking protocol whose goal is to speed up the web. It is Google's alternative to the HTTP protocol and a candidate for HTTP/2.0. SPDY augments HTTP with several speed-related features such as stream multiplexing and header compression. To use SPDY, you need a web server and a browser (like Google Chrome and upcoming versions of Firefox) that both support SPDY. 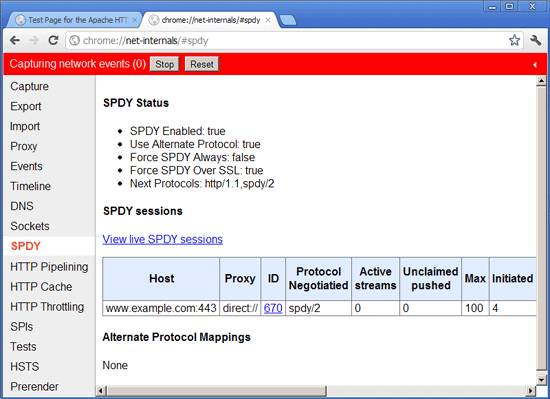 mod_spdy is an open-source Apache module that adds support for the SPDY protocol to the Apache HTTPD server. 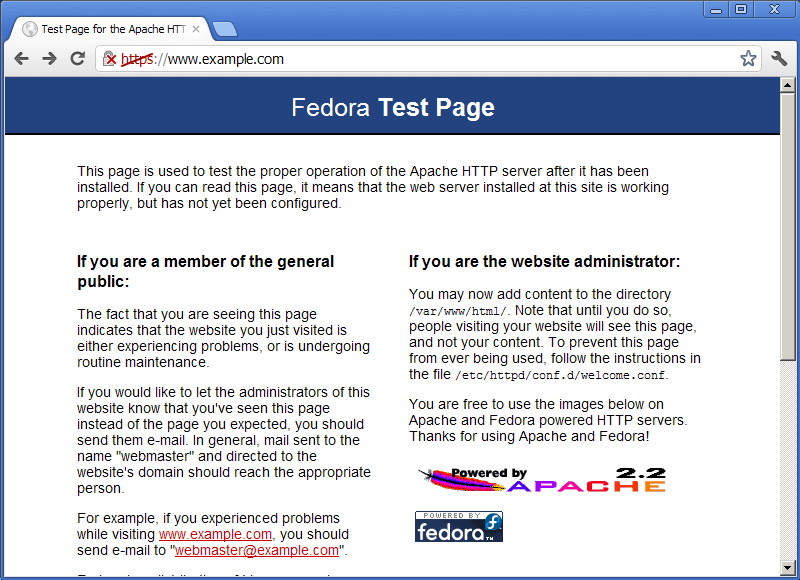 This tutorial explains how to use mod_spdy with Apache2 on Fedora 17. SPDY runs over HTTPS, so we need an HTTPS-enabled web site to test SPDY. Please note that SPDY will fall back to HTTPS if the user's browser does not support SPDY or if things go wrong, so installing mod_spdy doesn't hurt your existing setup. I'm assuming that you have a working LAMP setup, as described on Installing Apache2 With PHP5 And MySQL Support On Fedora 17 (LAMP). 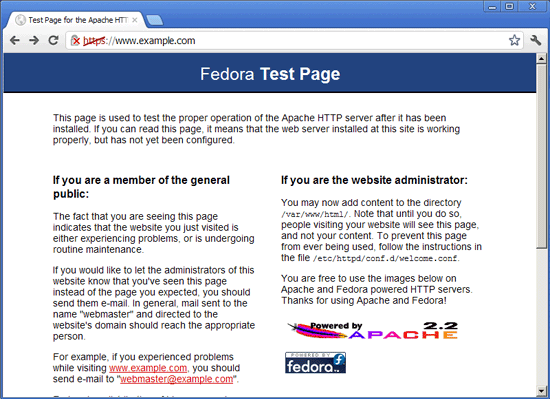 For testing purposes I will simply use the default SSL web site that comes with Fedora's Apache package (you don't need to do this if you already have an SSL web site on your server). The good thing is, mod_spdy needs no configuration, it works out of the box! (In fact, there is a configuration file, /etc/httpd/conf.d/spdy.conf, but the default settings should be ok.
# the possible cost of increased memory usage. You can learn more about the configuration options on https://developers.google.com/speed/spdy/mod_spdy/install. If everything went well, your SSL vhost should now be listed in the table which means SPDY support is working. Thanks for the nice tutorial. It's easy to read and implement. However, after installation of the mod, I found some errors in the httpd logs. After some investigtion I came up on this Google site: https://developers.google.com/speed/spdy/mod_spdy/php which explains how to use the mod_fcgid in your httpd configuration. It might be an idea to add this in your tutorial.